The undersigned organizations write to request that the Food and Drug Administration (FDA) change its policy regarding the disclosure of the names and locations of retailers that sold recalled FDA-regulated food products. Product recalls are the last line of defense for consumers who may have eaten potentially contaminated food that could make them sick. The names and locations of retail stores where recalled products were sold is critical information that is necessary to effectuate a recall, the goal of which is to prevent consumers from suffering illnesses that can lead to serious adverse health consequences or death. 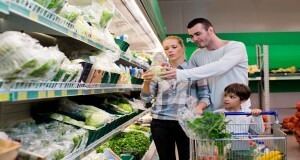 When consumers have access to this critical information, they can more readily determine whether they purchased potentially contaminated food, and can take steps to protect themselves and their families accordingly.